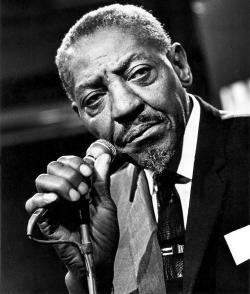 Alex or Aleck Miller (n� Ford, possibly December 5, 1912 � May 24, 1965), known later in his career as Sonny Boy Williamson, was an American blues harmonica player, singer and songwriter. He was an early and influential amplified-blues harp stylist who recorded successfully in the 1950s and 1960s. Miller used a variety of names, including Rice Miller and Little Boy Blue, before settling on Sonny Boy Williamson, which was also the name of a popular Chicago blues singer and harmonica player. Later, to distinguish the two, Miller became widely known as Sonny Boy Williamson II. He first recorded with Elmore James on "Dust My Broom" and some of his popular songs include "Don't Start Me Talkin'", "Help Me", "Checkin' Up on My Baby", and "Bring It On Home". He toured Europe with theAmerican Folk Blues Festival and recorded with English rock musicians, including the Yardbirds, the Animals, and Jimmy Page. "Help Me" became a blues standard and many blues and rock artists have recorded his songs.